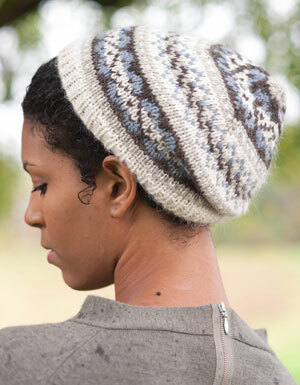 A new pattern - available just in time for holiday knitting, and for cold winter prep! For the moment, let's set aside the Buddhist belief systems and bring this into something many people can relate to: the cycle of seasons. Each winter, the life of the plants draws back into the Earth (at least where I live in the Northern hemisphere), where it remains asleep until spring. This cycle of death and rebirth is something that happens each year for the planet, and I can see a similar cycle in my own life. Winter-time, for me, is often a time of internal reflection—a time spent in hibernation for the most part, when I can get to really know who I am on the inside. When the snow begins to fall for the first time, as it has this week, I feel a sense of coming home. The hat and legwarmer set, that I call Phowa, are a hand-knit representation of the process of consciously allowing ones-self to withdraw within—like the life-energy of the planet does each winter. The sample is knit in Mirasol's Miski yarn. Legwarmers: 131⁄4” (33.5 cm) calf circumference; 9” (23 cm) ankle circumference; 141⁄2” (37 cm) length. Hat: 20” (51 cm) circumference. 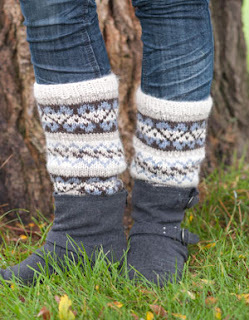 or approx 110 yards A, 50 yards B, 45 yards C, 55 yards D in a comparable earth friendly yarn. 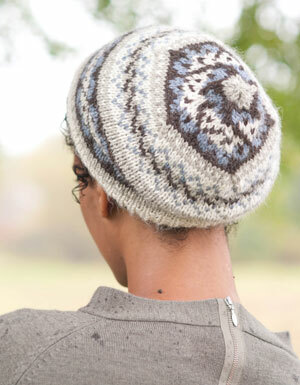 Hat: 1 hank each in #100 Snowdrop (A), #110 Limestone (B), #133 Steel Blue (C) and #116 Bark (D); or approx 60 yards A, 30 yards B, 30 yards C, 40 yards D in a comparable earth friendly yarn. Size US 8 (5 mm): 16” (40 cm) circular and set of 5 double-pointed (dpn). Waste yarn for tubular CO; stitch markers; tapestry needle. 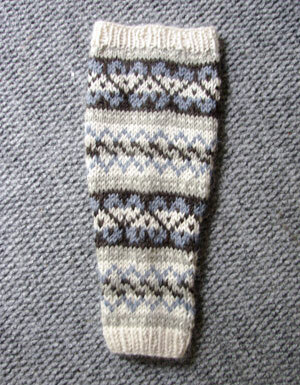 19 sts and 20 rnds = 4” (10 cm) in Fair Isle St st.